Love this stamp set from Stampin up. 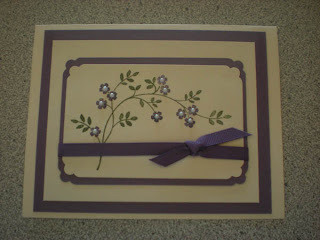 I used pearls on the flowers. just a sweet card! Another of the same just a change in color - pearls are the best!